The Iranian and Kurdish Women’s Rights Organization, which obtained the data, called for a national strategy for police, courts and schools to follow. The crimes are usually aimed at women, and can include abductions, beatings and even murders. British students at Park View Academy Of Mathematics And Science were recently subjected to pro-Al Qaeda propaganda during a school assembly. The pro-terrorist propagandists were – wait for it – teachers at the school. 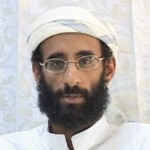 There are at least two known teachers at the school who are sympathetic to Al Qaeda and the teachings of Anwar al-Awlaki, the American-born Al Qaeda leader who was dispatched to Muslim heaven by a CIA drone in 2011. Converts Jordan Horner, 20, Ricardo McFarlane, 26, and Royal Barnes, 23, have been handed Antisocial Behavioural Orders (Asbos) which forbid them from forcing their views on others. They have also been forbidden from meeting hate cleric Anjem Choudary. In the current video translated by MEMRI Imams Anjem Choudary and Omar Bakri acknowledge sending Western fighters to Syria for jihad. Anjem Chourdary has visited the United States and at one time promised to lead a demonstration in front of the White House. Omar Bakri calls himself and Emir. Both men brag of sending young Muslims to their death in Syria. According to CNSNews.com, leaders of Britain’s largest churches are calling for an end to supplying weapons to the so-called “Syrian rebels” who are nothing more than Islamist terrorists. Islamists in Britain have been sentenced to a total of 110 years in jail for a plot to kill civilians at an English Defense League rally. The group of six Islamists had traveled to Dewsbury, West Yorkshire last June armed with shotguns, swords, knives, and a nail bomb. The goal was to blow up, shoot and hack to death those attending the rally. The group failed in their plot only because the rally ended earlier than they had expected.